On today’s Down & Dirty Radio Show Powered By Polaris RZR it’s a big Indy 500 show! 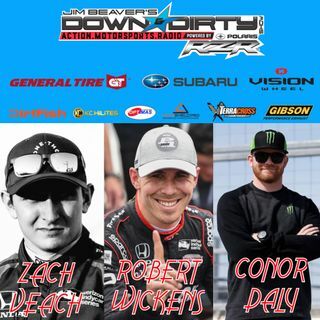 Jim Beaver was on ground at the Indy GP this past weekend and caught up with drivers Robert Wickens, Conor Daly, and Zach Veach. We’ll also have all the latest news in action motorsports. Don’t forget to tune in to Jim Beaver’s new show Project Action on PodcastOne.com every Thursday or subscribe on iTunes. Please RATE, REVIEW, & SUBSCRIBE on iTunes to both shows. Game On!